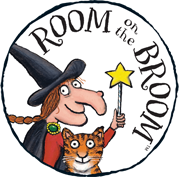 The Gruffalo and The Gruffalo's Child are best selling books written by the UK Children's Laureate Julia Donaldson and illustrated by Axel Scheffler, authors of Room On The Broom. Together these books have sold over 10m copies worldwide, and have now been made into award winning animated movies. The Gruffalo © 1999 & TM Julia Donaldson / Axel Scheffler.